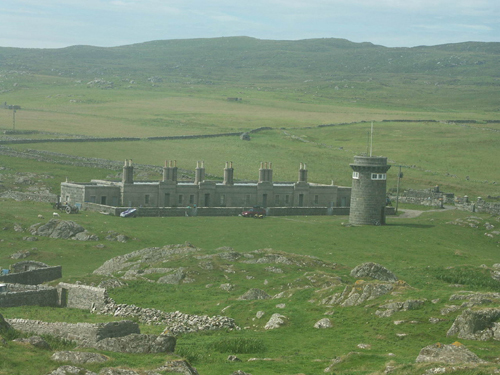 The Isle of Tiree is the most westerly island of the Inner Hebrides. It is relatively small – about twelve miles long and three miles wide – and very flat. Although the name means ‘the land of corn’ it has been described variously as ‘a raised beach’ and ‘the land below the waves’. The island is virtually treeless and boasts many beautiful white sandy beaches that would not look out of place in the Caribbean. Tiree has a mild climate with some of the highest levels of sunshine recorded anywhere in the British Isles. It benefits from the moderating influence of the Gulf Stream ensuring that frost is rare and evenings in mid-summer are warm and balmy. Settlers first arrived on the Isle of Tiree around 9,000 years ago and remains of the communities established by Iron Age arrivals can be found all over the island, the most intact being that of Dùn Mòr Bhalla (the big fort of Vaul). 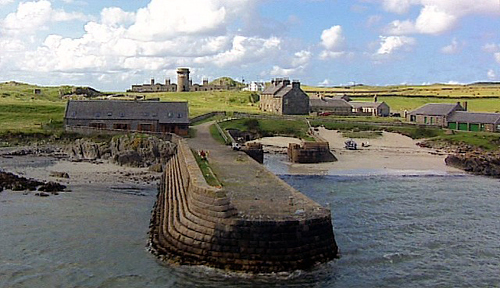 The lives of many subsequent generations of Tireeans are recorded at An Iodhlann, the island’s historical centre. A large proportion of the population emigrated during the Highland Clearances of the 18th and 19th centuries and those with ancestral links to the island are spread all over the world. In 1849 alone, 600 people left the island for Canada. Those who remained mostly made their living from crofting and farming and lived in the modest thatched cottages still in evidence all over the island. An authentic example can be seen at Sandaig Museum, a terrace of dwellings carefully restored by The Hebridean Trust using traditional methods, and furnished in period style. 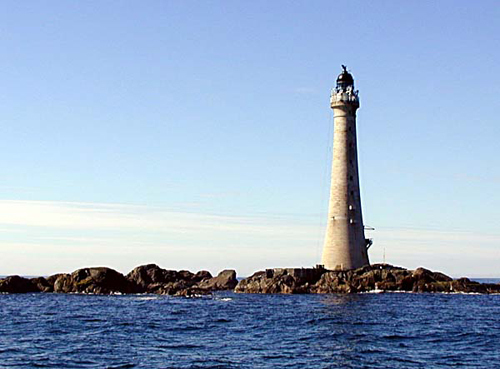 Skerryvore lighthouse, Scotland’s tallest, on a remote reef 12 miles south-west of the windswept isle. The architect of this ambitious project was Alan Stevenson, uncle of Treasure Island author Robert Louis Stevenson, who loyally spoke of Skerryvore as “the noblest of all extant deep-sea lights”. At the same time the Lighthouse Keepers Cottages, on Upper Square, were built to serve the Lighthouse. The clients were the Commissioners of the Northern Lights. 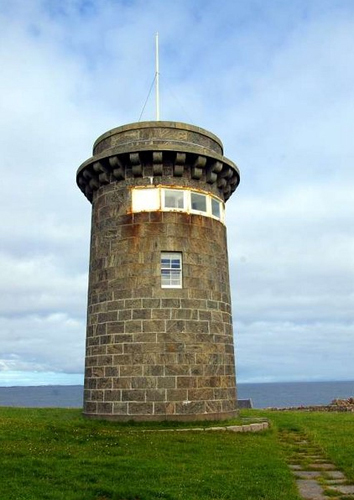 In the mid 1980s the Signal Tower at Hynish was repaired and converted into the Skerryvore Lighthouse Museum by The Hebridean Trust. 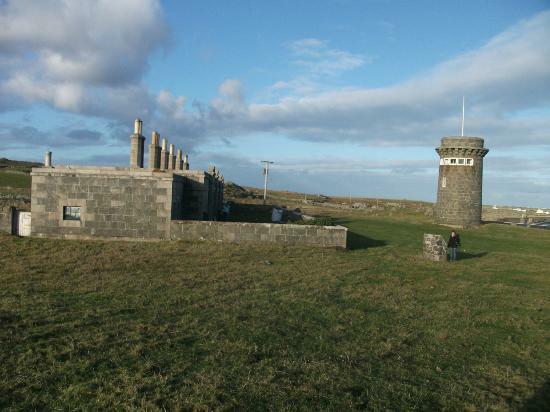 The museum is dedicated to the building of the Skerryvore lighthouse. Some twenty years later a project was begun on the reconstruction and conversion of the Lighthouse Keepers’ Cottages at Upper Square, Hynish. These unique buildings (also listed category A) have been conserved to the highest standard and can be enjoyed by all who visit Hynish as well as those who live there. The work on the Cottages completed the award-winning work of building conservation begun at Lower Square. The renovation project was funded from Argyll and Bute Council, Historic Scotland, The National Heritage Memorial Fund and grant-making trusts. I was employed to examine elements of the interior and exterior of the Cottages on Upper Square. I found that the external doors were painted on average once every eight years and that Lead Colour had been employed in the main. The internal walls were initially painted in a pale Stone Colour and the joinery painted in a brown oil paint which was composed of red and yellow iron oxides, and charcoal black in a lead white base. 3) ARP Lorimer and Associates.